Un tempo in cui si divertivano ad identificare file di avvio di windows come componenti malevoli di sistema. IMPORTANT NOTE: If you are NOT running on WINDOWS or NOT relying on AVG ANTI-VIRUS, you can ignore this message. 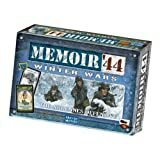 We would like to inform you about an unfortunate false alert that negatively impacts some Memoir '44 Online players since earlier today. On Friday August 26th 2011, AVG, maker of the "AVG Anti-virus" software, released an update to its virus database. Unfortunately, in doing so they appear to have introduced a bug that causes their AVG Anti-virus to erroneously report Memoir '44 Online as being infected with a Trojan malware named "Dropper.Generic4.AJES". Potete trovare maggiori informazioni sul forum ufficiale della Days of Wonder! Che dire, fortuna che la sicurezza informatica serve per preservare il proprio sistema e i software/dati custoditi!